Revenue growth at Singapore casino resort Marina Bay Sands (MBS) depends on the property’s ability to attract more visitors from outside the city-state, says a top executive from Las Vegas Sands Corp (LVS). The United States-based gaming group controls Marina Bay Sands Pte Ltd, the operator of that Singapore casino resort (pictured in a file photo). “The Singaporean [locals] market, by design, is getting smaller, and the visitation from outside Singapore is getting bigger,” said Daniel Briggs, senior vice president of investor relations at Las Vegas Sands. His comments came during the JP Morgan Gaming, Lodging, Restaurant and Leisure Management Access Forum. The event took place last week in Las Vegas, Nevada in the U.S.
Mr Briggs noted that, “from the beginning, the Singapore government planned and designed the entire infrastructure of integrated resort development in that state to focus on non-Singaporeans.” That, he said, included a daily entry levy of SGD100 (US$74.20) imposed on Singaporeans wishing to enter either of the two casinos in the city-state. “Over a period of time, what has happened is, increasingly fewer and fewer Singaporeans come,” he stated. Mr Briggs added that, in order to attract further foreign visitors – particularly premium-mass clients – the Marina Bay Sands property needed to be revamped, namely to update and expand its hotel room inventory. Premium mass is an industry term for players betting in high denominations but in cash, rather than via junket- or house-issued credit. Business margins for casino operators usually are higher in the premium mass segment than in the high-roller segment. 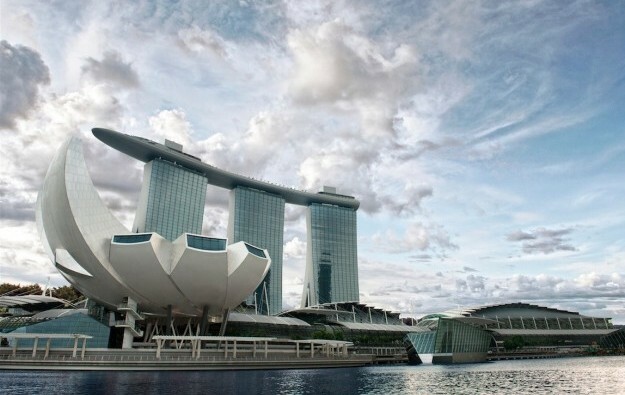 Marina Bay Sands recorded adjusted property earnings before interest, taxation, depreciation and amortisation (EBITDA) of US$362 million in the fourth quarter last year, down 20.8 percent from the prior-year period. The property posted net revenue of US$726 million for the period, down 11.6 percent from a year earlier, with casino revenue declining 17.6 percent year-on-year to US$500 million. Marina Bay Sands is to open a new nightclub next month. Marquee Singapore will occupy a space formerly used by one of the two theatres in the casino resort designed to attract entertainment shows. The property meanwhile wants to boost its 10,000-strong workforce and meet a target of employing in aggregate 11,000 people by the end of this year. During his presentation at the JP Morgan conference, Mr Briggs also discussed Las Vegas Sands’ properties in Macau, which are managed via local subsidiary Sands China Ltd. The company is planning to spend US$2.2 billion to expand and renovate some of its Cotai infrastructure in the next few years. That includes rebranding the Sands Cotai Central property as the Londoner Macao. He added that Las Vegas Sands expected the Sands Cotai Central revamp to unlock additional value for the firm. “We hope that the earnings power of that building [the Londoner], when we are finished, can rival that of the Venetian [Macao]”. In the fourth quarter of last year, the Venetian Macao generated net revenues of US$919 million and property EBITDA of US$355 million. Sands Cotai Central posted net revenues of US$558 million and property EBITDA of US$194 million for the same period. Work to revamp Sands Cotai Central as the Londoner started earlier this year. The project is to be developed in stages and to be completed in late 2020; Sands Cotai Central will continue to be in operation – at least partially – throughout the renovation. Despite the extended period of works, Mr Briggs downplayed the likelihood of construction-related disruption. Sands China operates several large-scale casino resorts in the Cotai district of Macau, namely the Venetian Macao, the Parisian Macao, Sands Cotai Central, and the Plaza Macao and Four Seasons Hotel. The firm additionally operates the hotel-casino complex Sands Macao, on Macau Peninsula. Mr Briggs said construction would become more noticeable once the company begins work on the façade of Sands Cotai Central.